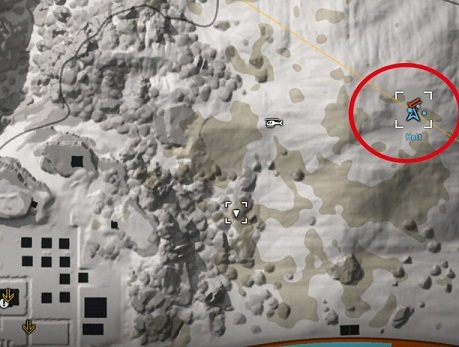 Sniper rifles play a major role in Ghost Recon Wildlands, as they allow you to deal with enemies at a great distance and they are extremely effective against helicopters and enemy vehicles. The HTI is the best sniper riffle in the community when it comes to quickly destroying helicopters. 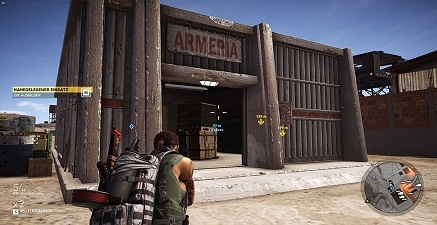 You will find this sniper gun in Montuyoc in a gun crate. The exact location we will show you in this guide. - First go to the east of Montuyoc - the fastest way to get there by a helicopter (how you get to this place is up to you). - If you travel by helicopter, you should be careful to fly low. - The area is secured by air defense rockets. The station is near the destination area. The location of the air defense can be seen in the following picture. - Once you have arrived at the target area, hopefully in one piece, you must carefully stalk the camp that is in front of you. - This works quite well over the mountains from the east. Use the "climbing" ability on the stones. - The watchtower you find on the way to the camp was not occupied during our gameplay. However, we found three soldiers on the way to the crate, which we killed silently. - Unfortunately, you cannot use a drone here, since there are jammers in the camp that make the image of the drone almost useless. - If you have freed the way and is in the camp, you can see several black objects on the minimap. - One of these objects represents a container that you want to visit. The following figure shows the location of the container. - Pay attention to possible patrols that may be near the container. - Now go into the container to find the weapon crate and pick up the gun. - Now the HTI is in your possession and you can try them right in the warehouse. You can also find another cool sniper riffle at the beginning of the game. 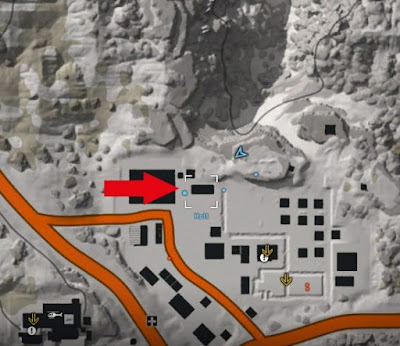 The MSR sniper rifle can also be found in Montuyoc. How to get the MSR.